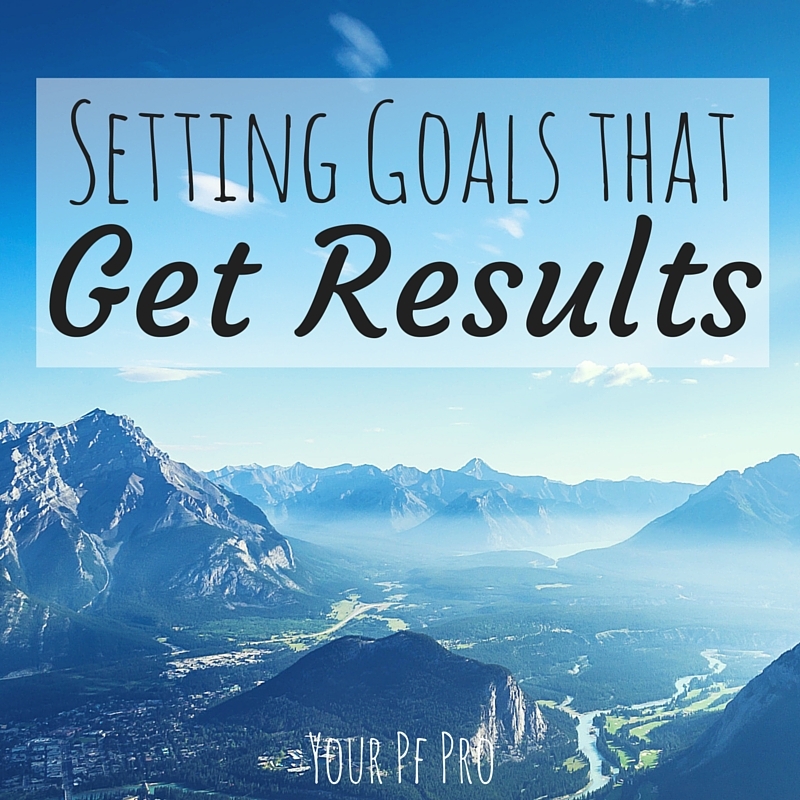 The ability to set and achieve goals is a tremendous predictor of your success. After all, if you can’t articulate how you’re going to achieve what you want, do you think it will just happen by magic? Very little success in life is attributed to haphazard luck – and if you’re successful by accident, you’re just lucky! Fortunately, we don’t need to chase down any leprechauns to rely on luck for success. Setting attainable goals on your own is just as effective. You can follow the SMART goals formula, but there are additional ways to set goals and follow through with them for ultimate success. If you’re struggling at setting 1, 5, or even 10 year goals, follow these steps for your own success! It may seem counter-intuitive, but you shouldn’t spend an inordinate amount of time on your goals. Just write down where you want to be one year, 5 years, or 10 years from now, and how you plan on getting there. Don’t write down paragraphs of detailed information on how you’re going to become a millionaire by age 30. It’s nice to be specific, but don’t get so into the weeds that your plan becomes too inflexible. Writing extremely long, detailed goals is also one way to paralyze yourself. If you obsess over each and every step of your goal process, it becomes easy for you to put your goals aside and promise to come back to them later – which you likely won’t do. Work with a business coach to expand my business, etc. You can add on time frames as you go and learn more about your goal. Maybe hiring a business coach within the first 6 months of starting your own business is what you do, or maybe you’d prefer to wait until year 2. How you get there is up to you; getting it on paper is what’s most important first. Much like weighing yourself daily (or is that just me? ), reviewing your goals every day will help keep you on track. The day-to-day grind has a way of changing your priorities for you, and it’s important that you acknowledge your goals daily to make sure you’re living a purposeful life. By thinking about your goals daily, it will help to remind you to do something associated with your goals everyday. Even on incredibly busy days, where you barely have a chance to eat, you may be able to sit down and read about your field, sign up for a class to build your skills, or network on a Facebook or LinkedIn group. By staying mentally connected to your goal every day, you’re more likely to achieve it on your schedule. Sometimes opportunities come your way that look like obstacles. Before saying “no” to a different line of work, or a new opportunity that looks like it could take you further away from your goal, evaluate the opportunity for all its merits. Will you meet new people? Will you learn a skill that could one day be applicable to your goal? If the answer is “yes” or even “maybe yes”, consider taking on a new challenge. I’ve had opportunities that initially seemed annoying and burdensome, only to become tremendous assets two years later. Two years ago, I had to take on those responsibilities because there was no saying “no” to the boss, but now I’m glad I did take on those tasks. I’ve become more valuable to my employer and have become more marketable to outside employers, which is right in line with my goals. You never know when a challenge can turn into an asset! As John Dunne said, “no man is an island.” Unless you’re planning on living entirely alone for the rest of your life, the path to achieving your goal will likely affect your spouse and/or your family. While creating your goal and your plans for achieving it, ask for the input of your spouse, business coach, or someone else in your life who you trust and who understands your goal. Note that I mentioned the right people, and not just any input. Unless your parents understand your goal or lived it themselves, soliciting input from them may not help you very much. You want to ask people who’ve lived your goal already, like a business coach, or who understand your passion and dreams, like a spouse. They should challenge you and your plans, but they shouldn’t be so clueless so as to not understand your goal or its importance. As with most things in life, there will be setbacks. It may take you longer to achieve your goal, you may hit a speed bump at work that takes you away from your goal, you may even get discouraged by negative feedback on your goal itself. If you know you want to stick with your goal, don’t let these setbacks get in your way and derail you entirely. At the same time, don’t get so focused on achieving your goal in a certain amount of time that you neglect other important things in your life. For instance, if you have to do something at work that takes you away from your goal, but you need your current job to pay bills and provide for your family, don’t get hasty and quit or get fired. Consistency over expediency is the key to achieving goals, and by creating a plan, reviewing it daily, seizing opportunities, getting feedback from important people in your life, and staying positive about your goal will help you achieve it. It may take you a year longer, it could take you a year less. Perseverance will see you through to your goal, you just have to keep going! How do you focus on your goals? Have you worked with a business coach, or what other ways do you keep yourself accountable to your goals? Writing down our goals and reviewing them daily is a very good idea. I must do that more for myself and also teach my clients to do it. The thought of not being discouraged by setbacks is also important. There are too many in life to bear thinking about them all. Sometimes, these setbacks are good for us. They’ve certainly taught me a lot. I’m glad you found this helpful, Nathan! Thank you for your comment!